What is the applications of Ecoosi High temperature silicone 2 Ply air duct flexible hose? 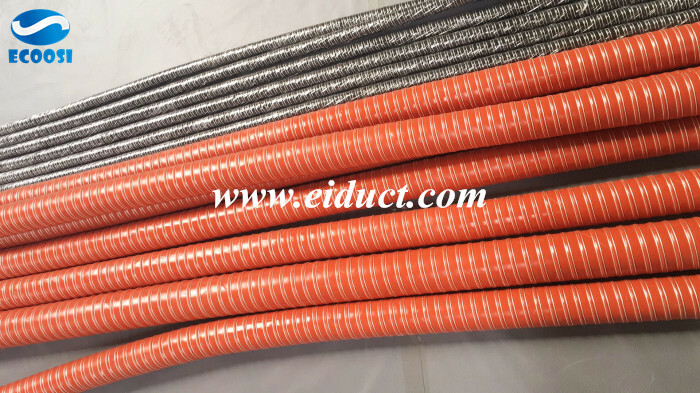 Ecoosi high temperature silicone 2 Ply air duct flexible hose is made from double layer silicone coated glass fiber fabric with spring steel wire integrated in wall, this high temperatuer flexible hose could handle working temperature range from –70℃ to ＋310℃. 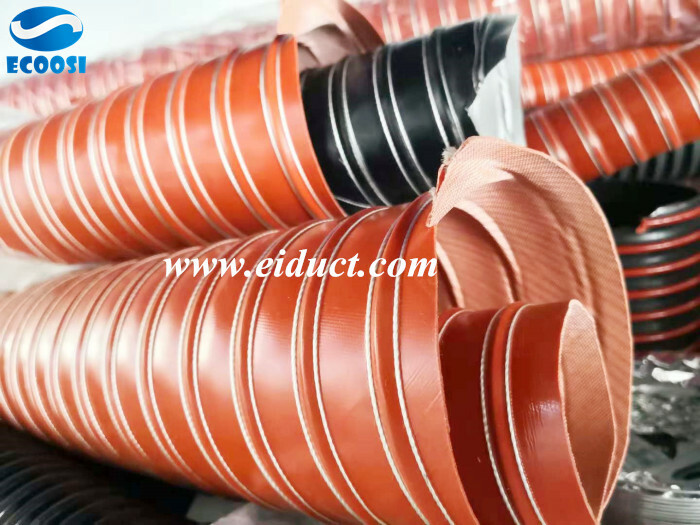 This silicone coated double layer air duct hose is ideal for granulate/plastic dryer and hot air dryer, brake cooling duct systems and cooling air at extrusion tool, clean room ventilation. 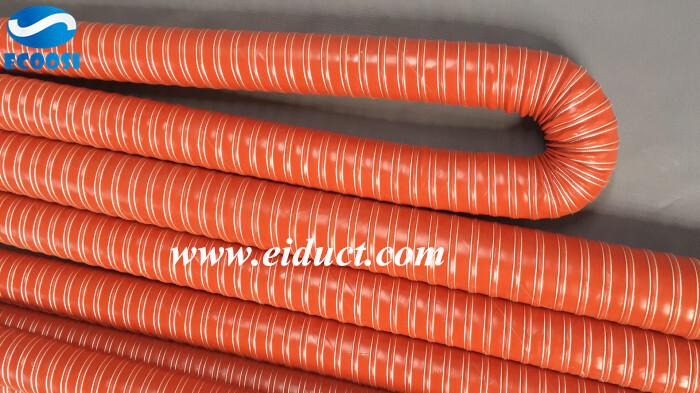 Ecoosi high temperature silicone 2 Ply air duct hose size range from 19mm to 305mm, standard length is 4 meter. 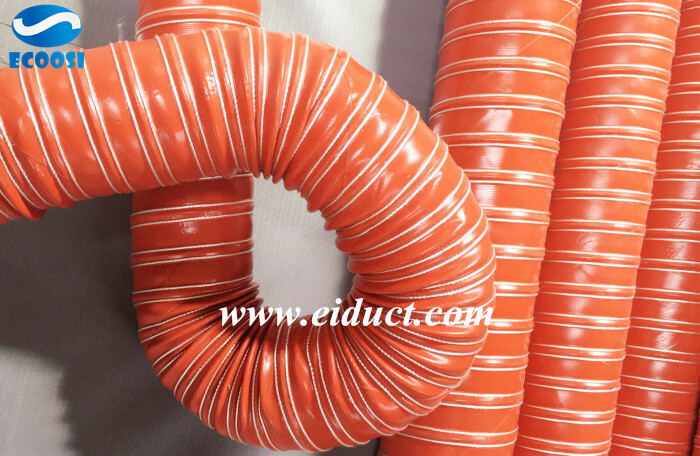 If any interests in our high temperature silicone 2 Ply air duct flexible hose please feel free to contact us through email: info@eiduct.com or Mobile(WhatsApp): 00-86-136-5140-9056, we are always here to satisfy your requirement!